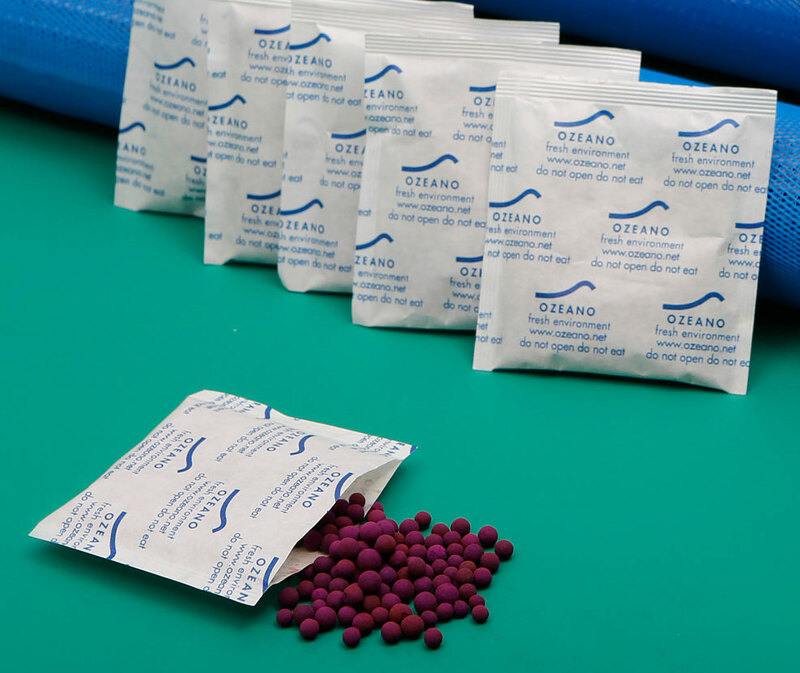 Sachet used to absorb ethylene gas (C2H4), spores and micro-organisms, by placing it in the boxes of fruit and MA boxes of fruit, vegetables and flowers. Characteristics: Thin waterproof paper and gas permeable. 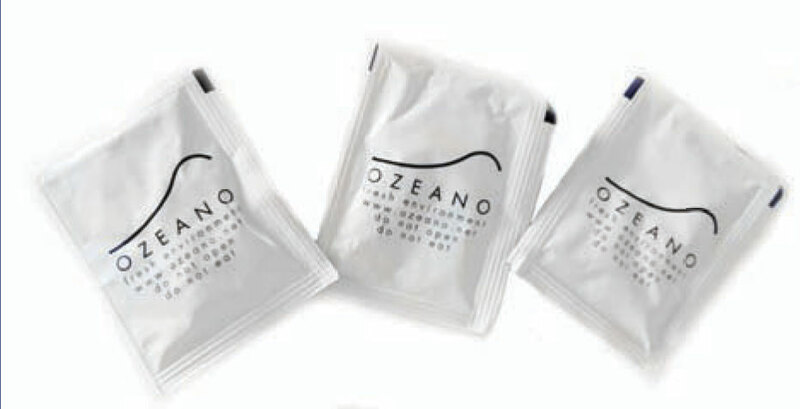 OZEANO filters must be placed inside boxes or bags of fruit, over the fruits. Avoid using them under the fruits. The OZEANO granulate does not come into direct contact with the fruit and therefore it is not considered as an additive, because it doesn't leave residues on the fruit. 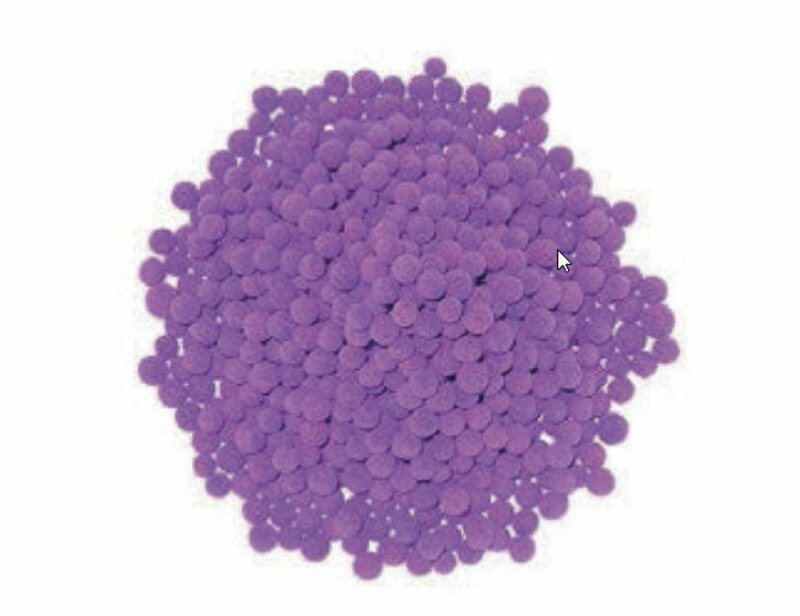 The OZEANO granulate is disposable once it has been used and it is innocuous for workers. It is perfectly compatible with and ecological/organic production. The Sachets S5 are made with materials that are permitted and approved for contact with food.